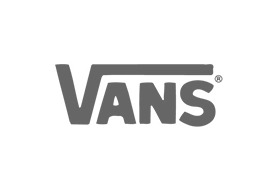 The Vans store in Chadstone features an extensive range of stylish, durable and comfortable footwear for men, women and kids. In addition to shoes, the company also makes apparel and accessories. The brand is a popular name in the sportswear industry and sponsors various skateboarding, surfing, motocross and BMX teams. Vans are a major player in the skateboarding, surfing, snowboarding, and urban, punk markets. The additional items like accessories and clothing add to the brand’s youthful appeal. Today, the brand continues to manufacture custom footwear, backpacks and other products and also has a range of collaborations including ‘Disney and Vans, ‘Vans X Real Skateboards’, ‘Vans X Anti Hero’ and several others. Brand loyalists love the range of colours and prints that the brand has to offer in its classic footwear.